Also? It’s fun. It’s a lot of fun. There’s definitely some silliness here—hell, Batman even smirks after drops a minor quip after kicking Mr. Freeze in the head—but anyone looking for some good, straight-up superhero-vs.-supervillain action should be pleased. with WB Animation’s newest DC offering. Honestly, it reminds me a lot of Batman: Brave and the Bold (both visually and tonally), another DC animated series that wasn’t afraid to be ridiculous. I’m reasonably sure JLA won’t go that far, but it’s always nice seeing the League work together without worrying about if they have dark secrets and simmering tensions that could drive them apart. These heroes are all about punching bad guys, and as an adult man who isn’t even close to the age of this show’s target audience, I approve. 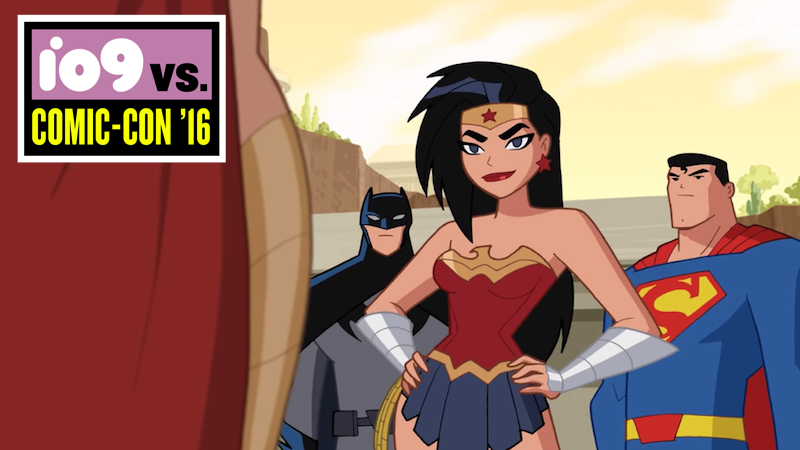 You’re very welcome, Justice League Action!